A race around the world is no easy feat even undertaken by a sailor in his 20s. 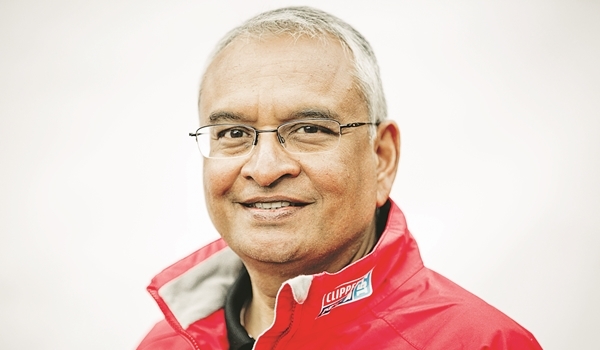 So when 58-year-old Sunil Prabhakar tells us that hea��s embarking on the Clipper Round the World Yacht Race that lasts a total of 325 days, we are impressed. a�?I have been sailing small boats since I was 18 at the Royal Madras Yacht Club. I own a vintage wood boat and have owned and sailed Lasers and participated in the nationals in India. But the clipper race and ocean racing is completely different from sailing small boats around the buoys,a�? admits Prabhakar, who applied to participate in the Clipper after being inspired by the Volvo Races. Starting at the Katharine Docks in London this Sunday (August 30), the race will see 12 teams of amateur sailors crossing six oceans (40,000 miles) in the worlda��s longest yacht race. And to compete, every sailor must undergo four levels of training. a�?Each level is about a week. The first is basics. Level two was mostly offshore and we went through all the evolutions out in the English channel. Level three was building on level two and some spinnaker (sail) work. Level four was with our race skipper and team,a�? shares Prabhakar, who feels that the challenge will be the North Pacific and the Southern Ocean where the teams will battle severe weather.